Klein Tool Premium Synthetic Cable Pulling Lubricant is an excellent all purpose lubricant for electrical and telecommunications and data applications. Easy-to-apply gel clings instantly to the cable and allows for easy handling and application. 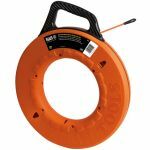 Compatible with most types of cable jackets, including polyethylene and semi-conducting jackets. 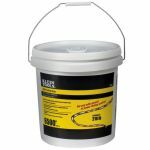 Superior ''clingability'' to coat wires and conduit evenly.